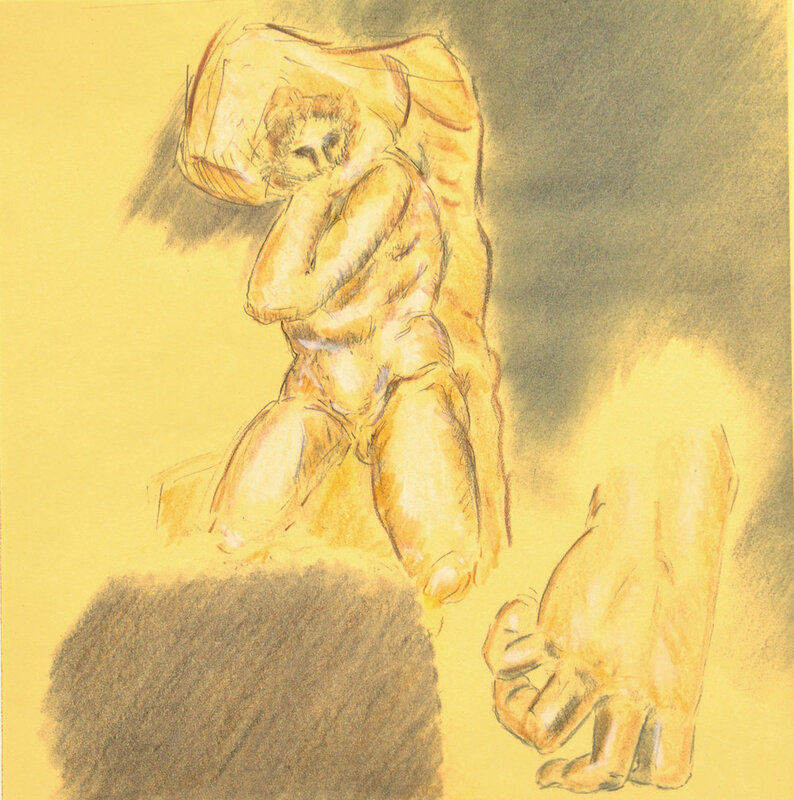 Anne S. Oldach has been active as a sculptor for more than 40 years and drawing has always been a tool used to design and create those sculptures. Anne’s approach to sculpture has been to create work that balances the real with the abstract, the beautiful with the terrible, the tangible with the transcendental -- images that touch the core of what it is to be alive. Anne is the former artistic director of the Delaware Institute for the Arts in Education [DIAE]. She received her B.F.A. and M.F.A. degrees from the University of Pennsylvania in sculpture and her Master's in Art History at the University of Delaware in 1985. She has exhibited locally in the Station Gallery in Greenville, DE; the Blue Streak Gallery, Wilmington, DE; University of Pennsylvania Faculty Club; Widener University Art Museum; Susan Isaacs Gallery; Delaware State Arts Council Gallery; Rehoboth Art League; and the Hatch gallery at the Delaware Center for the Contemporary Arts; Concord Art Association, Concord, MA; North Hampton Center for the Arts, Northampton, MA; American Visionary Art Museum, E.Y.E. VAM 2000; Christiana Cultural Arts, Wilmington, DE; Schuylkill County Arts Council, Pottsville, PA; and the National Sculpture Society, NY, NY. “The clouds, as hard-edged cityscapes, seem to intrude into our metaphorical blue-sky well being. However they may, there is much more than representations of life's proverbial black clouds. “The real interest for me is in the exploration of playful and curvilinear contrast to the hazy, rectangular tones as they hang there, mobile-like. “Any lift of the clouds’ curves, juxtaposed within and to soft and hard edges is more of my artifice; simple, optical devices in my hope to give an impression of cloud-like drift. John Breakey’s career has spanned thirty years as a designer and art director. Since 2003, he has served as the area coordinator of Graphic Design at the Delaware College of Art and Design helping Communication Design majors find success. John’s love of typography has been put to use in the areas of signage, environmental wayfinding, branding, advertising, and web development for local, national, and global clients. Prior to relocating to Wilmington in 1997, he operated a studio in New York City and provided creative services to the publishing, advertising, and design industries.